Life is hectic. It seems as if each and every day your schedule is completely full, so much so that you have no empty margins in your calendar (if you could, you’d make a note to get a larger day planner). From your crazy work-life, fitting in the time to run errands, and we won’t even get started on all of the things that needs to get done for your family, the days seem too short to accomplish the things you want. While this is true for most of us, especially in New York, there are two things that you constantly find yourself erasing from the daily to-dos, cleaning and exercising. Even if your schedule is light, it’s still difficult to find the motivation for both of these activities, even though both need to get done. At UMG, you can rest assured that our cleaning services in Manhattan will knock out the cleaning aspect, but sometimes you still need to do some sprucing up when we’re not around. The good news? 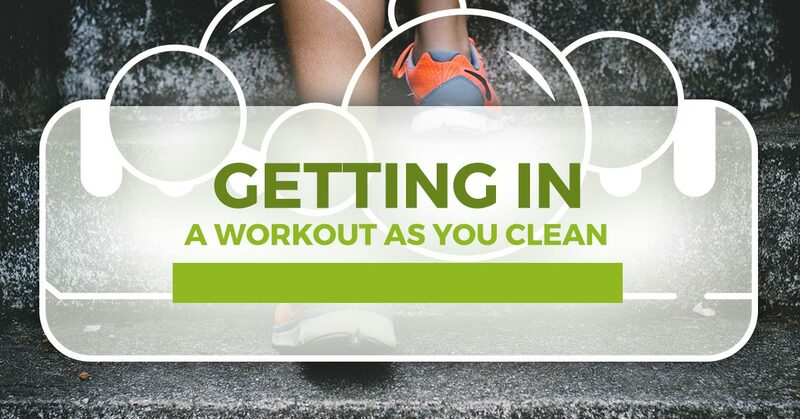 You can kill two birds with one stone by combining cleaning and exercise! Think we’re crazy? Let us give you a few tips to shed calories all the while making your home clean and clutter free. It’s recommended to get 30 minutes of exercise at least five days a week for your health, and although the U.S. Surgeon General has nothing to say about the benefits of cleaning, we all know that a clean house feels great and gives you a clear mind. When you find yourself taking care of the cleanliness of your home, make sure to stay in motion. Waiting for the dishwasher to finish its cycle? Do some squats! Going to the next room? Lift those knees high! Your neighbors might think you’re crazy if they witness this through the windows, but they’re not getting toned as they sit on the couch, are they? Lazy bums. If you’re lucky enough to have stairs in your Manhattan home, use them to your advantage! When you’re bringing things like laundry or children’s toys upstairs, don’t grab it all at once. Instead, bring them up one by one so that you go up and down the stairs multiple times. Sooner than you know, your legs will be chiseled. Another helpful tip would be to go up two stairs at a time, stretching out your legs and feeling a deep, satisfying burn as your muscles strengthen. Who needs a gym membership or an expensive stairmaster? Not you! While sweeping, mopping, vacuuming, or just moving from room to room, why not get some lunges in? Be sure to follow proper technique to avoid pulling a muscle by maintaining a straight back, bending your knees at 90 degrees, and being sure not to have your knees extend further than your toes. Lunges have many benefits including strengthening your core, giving you better balance, and improving your hip flexibility. Wax on wax off! 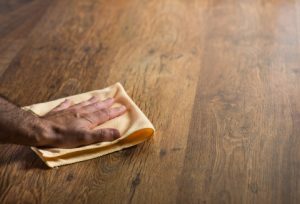 When dusting or cleaning windows and countertops, wipe in a circular motion and with more force than you would back before you knew that you could get ripped while you cleaned. This will help strengthen your arms and shoulders. Looking for a challenge? Instead of mopping the floor, scrub it using this technique! Be sure to rotate hands or to use both to gain muscles symmetrically. As with lunges, squats can be done anytime, anywhere. Whenever you go to pick something up, say the dishes, laundry, or trash, don’t just bend over like those none health conscious people out there, squat! Squats don’t just build your leg muscles, creating an anabolic environment, they actually help build muscles all over! After a few cleaning days and multiple squats, you’ll be able to run faster, jump higher, and kick stronger than ever before! Stretching is key, especially when you’re working so many muscles while you clean! In order to keep muscles strong and flexible, it is important to stretch. This will help prevent you from pulling any muscles, and is also good for the overall health of your body. So when you need to reach to clean the top of a window, or are dusting the frame of a door, add a little bit of distance and stretch those arm muscles! Also be sure to stretch your legs so that they’re ready for more squats and lunges! It might feel weird at first, and you will definitely look a little kooky, but after a few times it will become second nature. No need to sign up for an expensive, crowded gym, when everything you need is found inside your house, AND you’ll be getting the cleaning done. Yet, it doesn’t have to stop there! Squat every time you wash your hands, take the stairs a couple times before sticking to a level, lunge to the door on your way to work. Though, we’d probably recommend keeping these exercises within your home, but we can’t tell you what to do! Build muscles and clean your house at the same time! Pretty great, right? At UMG Cleaning, we’re always happy to help with cleaning tips and advice, but if you’re looking for a real, deep clean of your home or business, our professional cleaners will leave your place sparkling. Using only green cleaning products, and dedicated to your complete satisfaction, be sure to contact us now to hire us for our cleaning services in Manhattan. Don’t worry, we won’t exercise on the job.